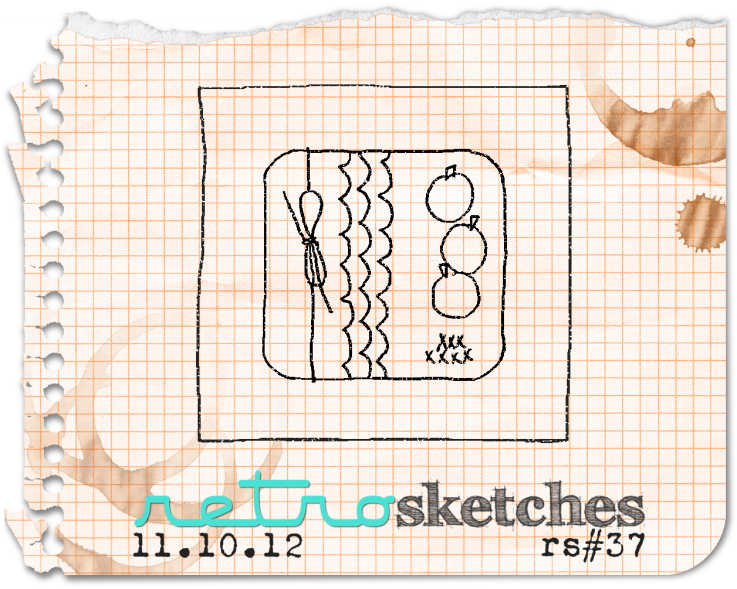 It's Saturday, time for another RetroSketches sketch. This week's sketch is based on another one of Laurie's FABULOUS cards. I tried to not only use the sketch, but Laurie always uses coloured cardstock so beautifully, that I wanted to try some out. Not overly excited with how it turned out, I think it's still missing that something. The knit-like background is WPlus9, the rest are Avery Elle, Framed Fonts. The cardstock, and ribbon are Avery Elle as well. 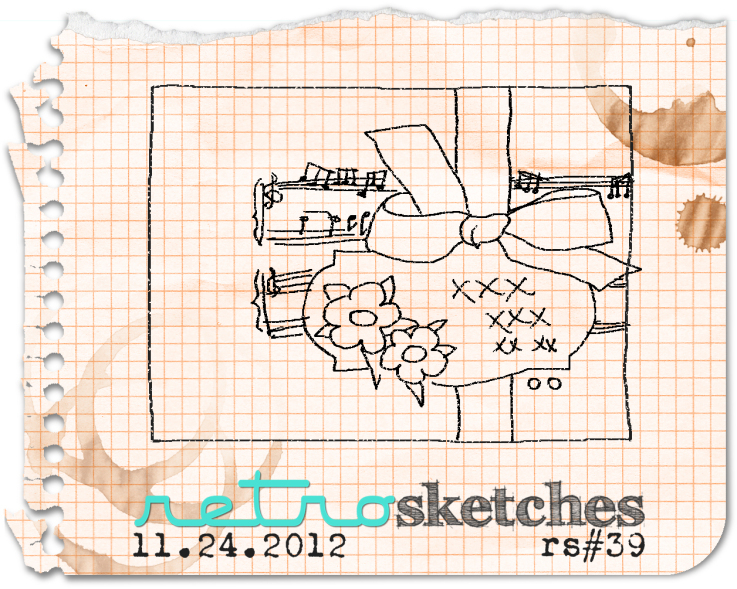 Head on over to the RetroSketches blog to see what gorgeousness Arielle and Laurie have for you this week. I finally got into my craft room for a bit, something sparked my creativity. Although I have no clue what!! a bit too late in acting on it and lost my chance. Oh well, at least I have something to share with you guys over the next little while. 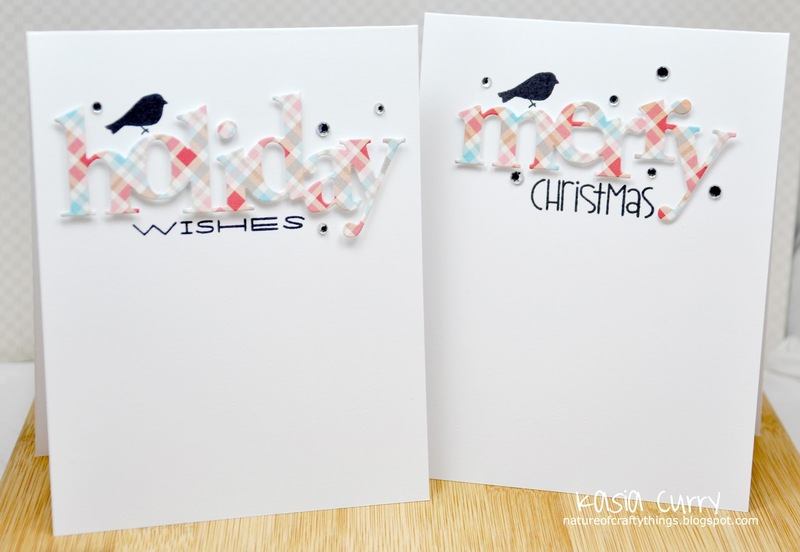 This set I made using a combo of PTI dies (wonderful words: holiday) and Paper Smooches sentiments cut apart from the All Yule Need and Christmas Sampler sets. The adorable little birdie is PTI as well, from the Love Birds set. Sorry for the slightly out of focus pictures. My camera, photoshop and I are currently friends off!! 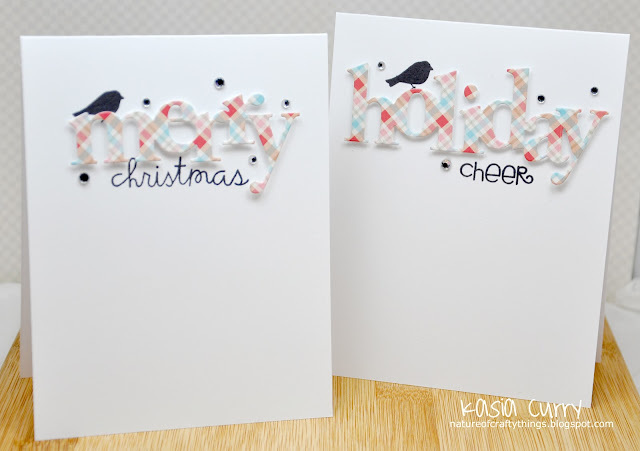 The paper is by Pink Paislee from their Snow Day collection which can be found at Jessica Sprague. It's Saturday which means yet another RetroSketch to share with you. This week's sketch is based on a simple little one I made earlier in the year. I decided to stray slightly away from my Christmas themed cards for a bit and use up some of the millions of scraps of patterned paper I have! This is really a perfect sketch for that. I may have to make a few more!! 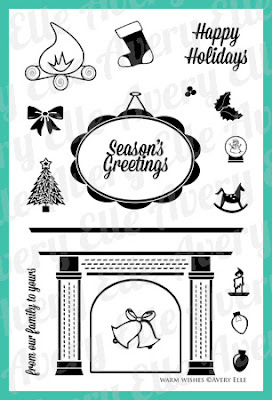 I was recently going through my Paper Smooches stamps and came across one of the recent releases, Cyber Cafe. This sentiment kinda jumped out at me so I decided to go with it. The papers are from an older Basic Grey paper pack. 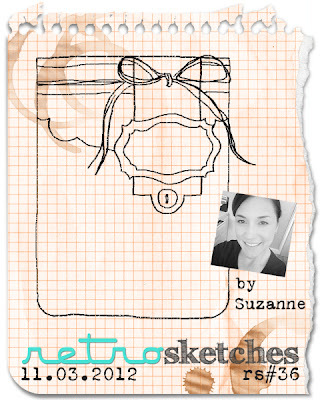 Please head on over to the RetroSketches blog to check out Arielle and Laurie's amazing takes on the sketch!! We got a Winter Wonderland here yesterday. 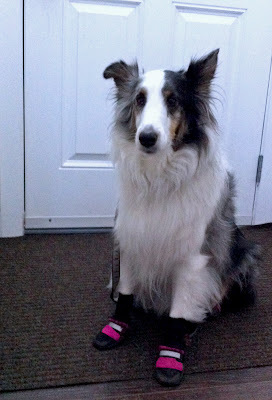 A little picture of my very hesitant pup just before a walk! 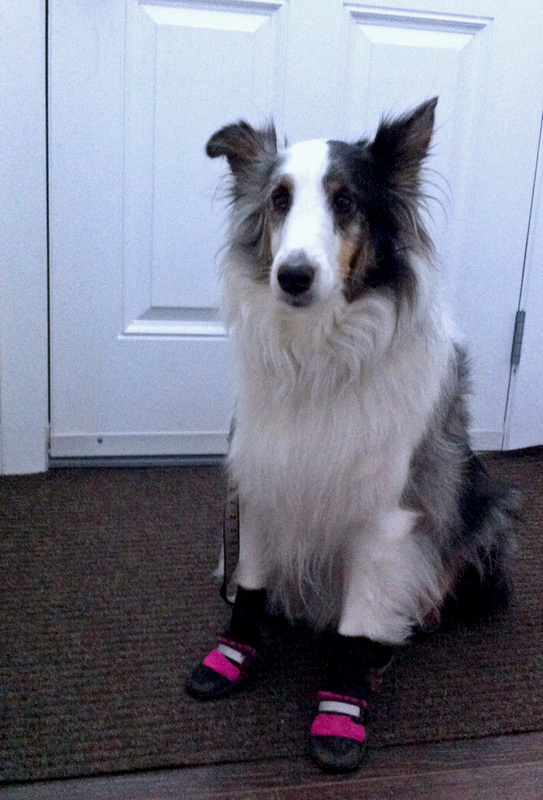 She loves the snow but hates her little booties. It's a bit difficult to try to reason with a dog on their benefits though!! I have another fabulous RetroSketch to share with you today. 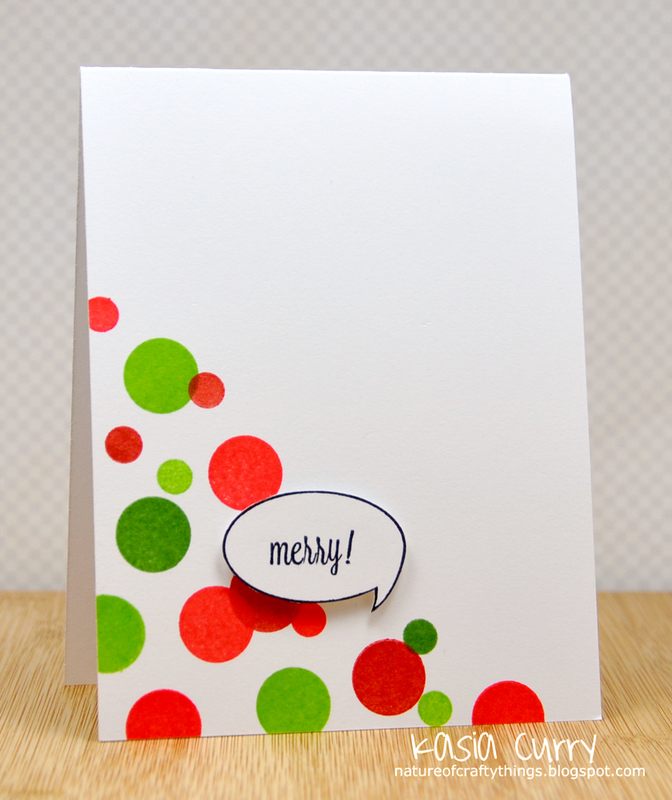 This one based on an adorable card by Arielle, which you can see here. 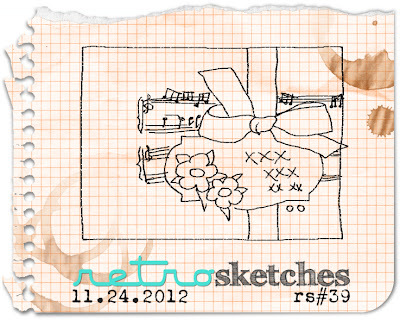 The papers are again from an older Crate Paper 6x6 pack and the stockings are from Paper Smooches All Yule Need set. So, head on over to the RetroSketches blog to check out Arielle's gorgeous redo, and Laurie's take as well! 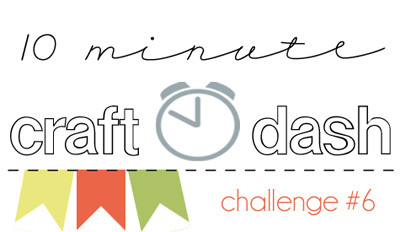 10 minute craft dash challenge. 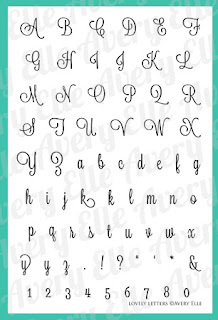 Well its a fabulous challenge put on by Paulina over at Pretty Pink Posh. 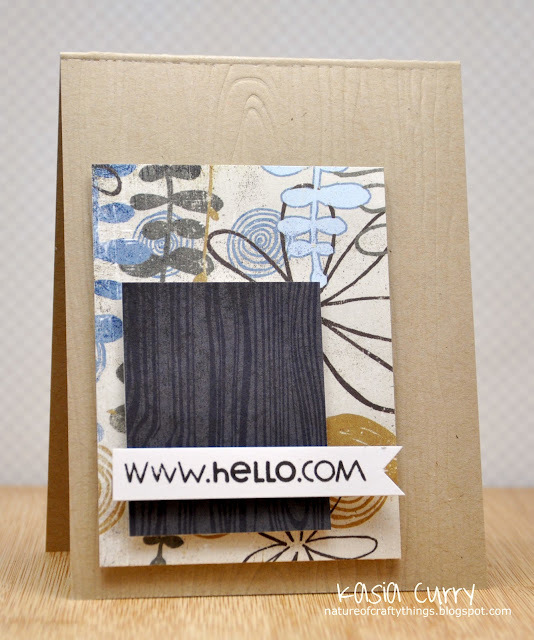 The challenge is to create a card from start to finish in 10 minutes or less. Now I have to say, this is actually quite difficult for me. It's very rare that an idea quickly pops into my head!! Looking back on my card I feel like I cheated somehow!! I went for a very simple one layer card. I think I should have used up all my time or something! For this challenge I used the scalloped border from the Fanfare set, and the sentiment is from the To The Point set. The sentiment comes with the "hello" on top of the "there", I just cut it in half so I could place them side by side. This was a fun challenge, I do hope you will head on over and check it out. You could win yourself a $20 gift certificate to the Avery Elle store. If you need some tips on how to create a card in under 10 min, Paulina has some suggestions for you here. 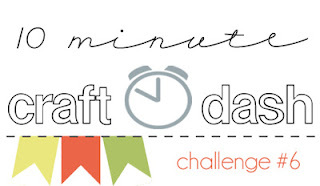 See some of the DT's fab 10 min creations by checking out their blogs! 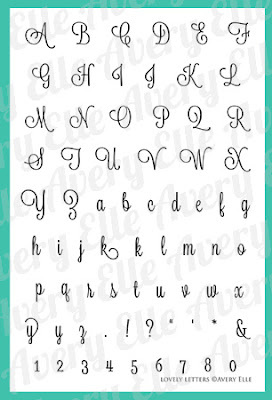 All four of the newest Avery Elle releases are available for purchase at the store. click on the picture to take you directly to the store! So today is our group post day, and I am sharing a card I made with the Warm Wishes set. I adore the fonts in this set, as well as the adorable little images that come with it. I used the little lightbulbs to embellish my sentiment. I also used my To The Point set. I'm having a hard time putting it down!! Head on over to the Avery Elle blog for tons more inspiration from Jamie, Heather, JJ and Chunyuan. Hit up their blogs too and leave them some love!! but there is one more set for you to ogle! This one is called Count On It. I love the fonts on this set, and those numbers are a great size. I of course used Count On It, the sentiment and frame are from Framed Fonts, and the dashed line is off of To The Point. Don't forget to hurry on over to the Avery Elle blog for all of the details on how you can score yourself a $25 gift certificate to the store. And while you are there ooh and ahh over Jamie's gorgeous creations and stop by the rest of the DT's blog to give them some love! The 4 sets will be available tonight at midnight in the Avery Elle store. click here for my Avery Elle release week post. I hope you are having a wonderful weekend so far. I am excited because I am off for 5 days, plus I am going to my favourite diner for breakfast/lunch a bit later. Diner Deluxe, in case anyone lives in the vicinity. 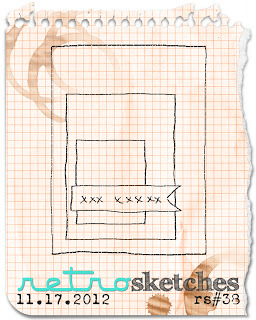 I have a FANTASTIC RetroSketches sketch for you today. 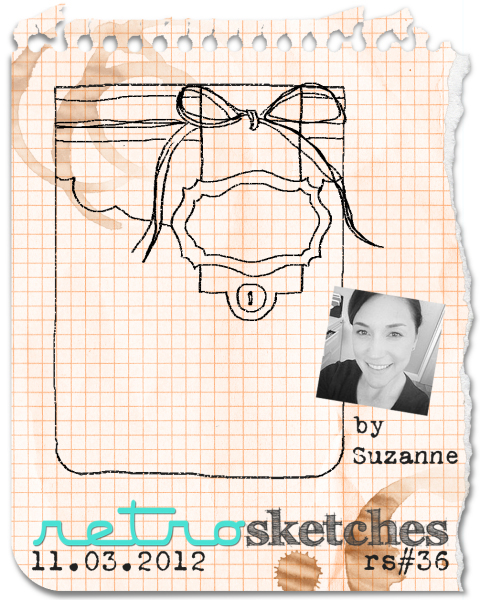 This week's sketch is from our other wonderful Headliner, Suzanne. You can visit her stunning original card here. THis sketch was so easy to use and just lends itself to using gorgeous papers, which is one of the many things Suzanne is so fabulous at! 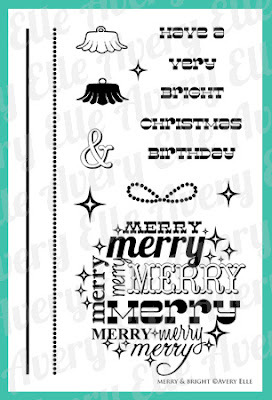 I originally was heading for a Christmas theme again, but when I got my papers together, I wasn't feeling it!! It'sactually from a Christmas collection by Crate Paper, Snow Day. It's for sure from last year, I have no clue if you can still get it or not. 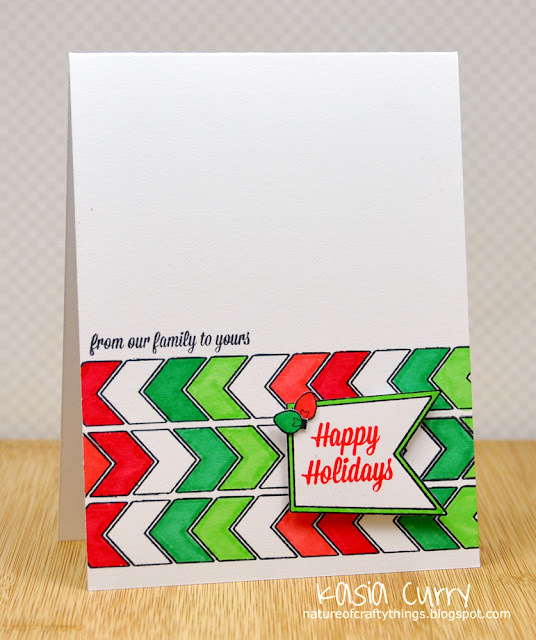 Hop on over to the RetroSketches blog to check out Suzanne's adorable redo, along with Arielle and Laurie's gorgeous cards. Avery Elle Release Weeke, Day 3! to Day 3 of Avery Elle release week! 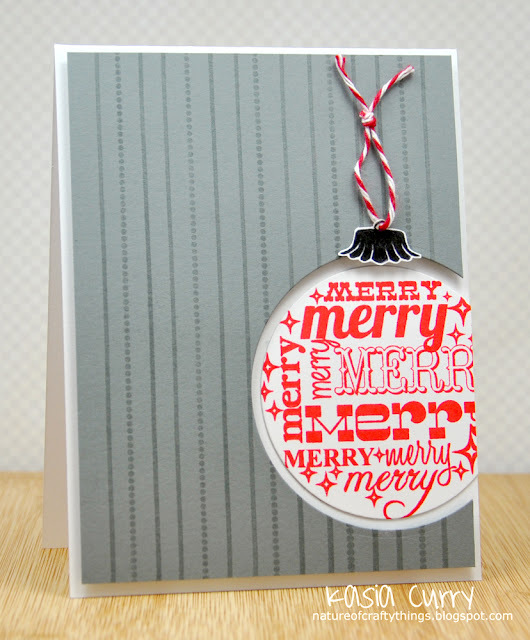 Today we are showcasing Merry & Bright. I really enjoyed this set! 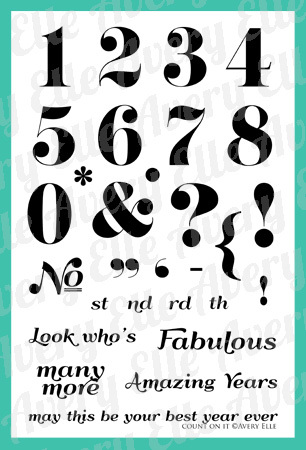 I just love all of those different fonts. This set, along with Warm Wishes and Lovely Letters (plus one more which we will debut tomorrow), will be available from the Avery Elle store at 12am November 5th. For all the details on how you can grab a $25 gift certificate to the store, pop on over to the Avery Elle blog. And while you are there check out Jamie's fabulous creations. For more inspiration (or enabling!!) check out the other DT's blogs too!! Avery Elle Release Week, Day 2! 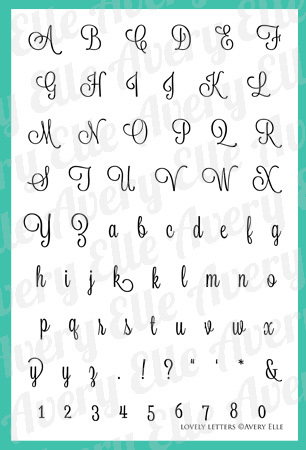 It's time for me to share the newest release from Avery Elle. And to day I have a card to share too! I used the letters for the sentiment, the speech bubble is from the picture it set, and the circles are from the bright days and picture it sets. 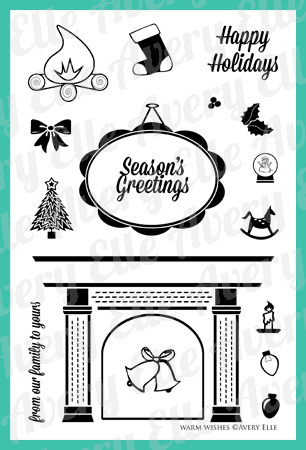 Head on over to the Avery Elle blog to check out Jamie's gorgeous creations as well as get all the details on how you can score yourself a $25 gift certificate to the store. Check out what the other DT members have to share too. It's time to showcase the new Avery Elle releases. For the next four days we will be previewing the new releases which will all be available as of 12am Nov 5th. 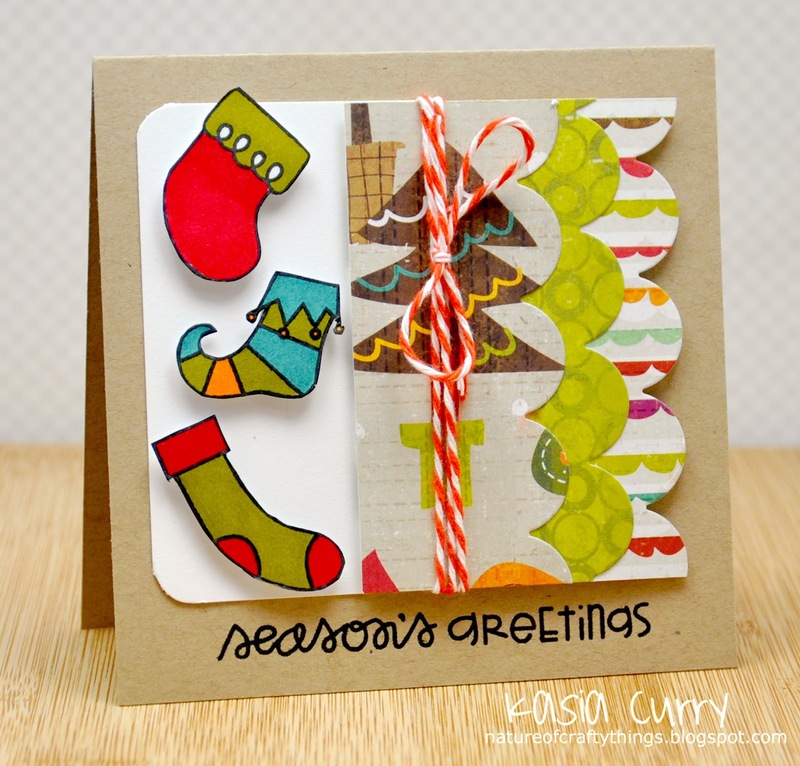 The first release this week is Warm Wishes. Don't forget to stop by the Avery Elle blog to check out Jamie's fabulous designs as well as the rest of the DT's awesome creations. a $25 gift certificate to the store. All of the details on on the Avery Elle blog.